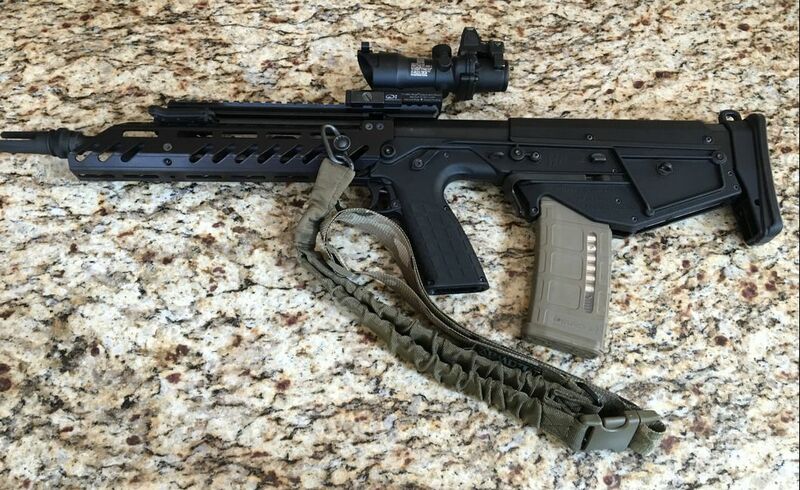 The Kel-tec RDB is just about the best bullpup on the market in terms of cost vs performance. After a few hiccups, it seems Keltec has finally gotten QC under control and come up with a fantastic design for urban combat. The Keltec RDB is a DOWNWARD ejecting, long-stroke piston driven firearm (like the ultra-reliable AK) with an adjustable gas system and a very smooth recoil impulse. The down-side? The exceptionally ugly plastic rail. We fixed it. Introducing, the Kel-Tec RDB "Raptor Rail". 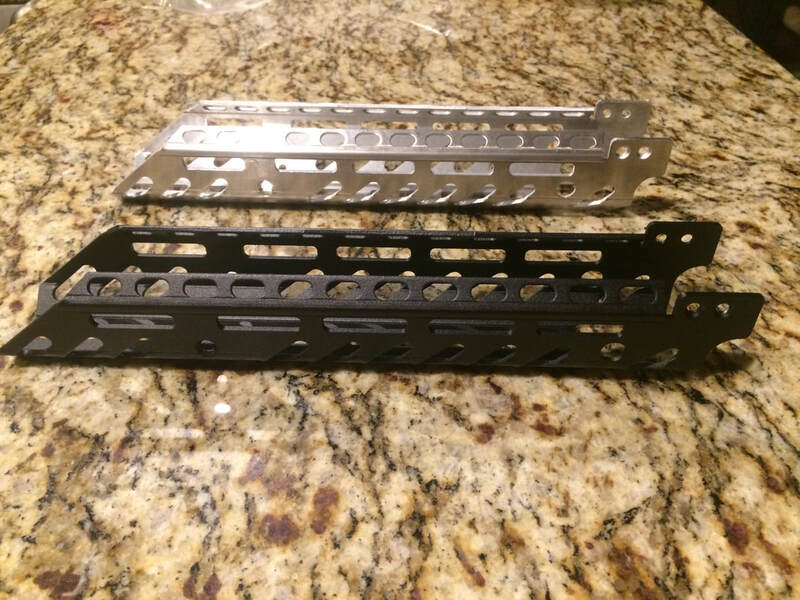 The shell is made of 6061-T6 aluminum, the 4 piece mounting adapters under it that mate it to the rifle out of 7075-T6, hard anodized black, with M-Lok slots for accessories on either side and the bottom, QD mounts left, bottom, and right at the rear of the rail, and cooling vents elsewhere, this aggressive-looking but extremely functional rail is exactly what the RDB needed! Also available: enhanced bolt release. Slow reloads because of the tiny metal hard-to-activate bolt release? We fixed it! This requires only the removal of two screws (top left and bottom right of the shown assembly) and fits over the rifle with NO modifications. It will not void your warranty. It acts as a pivot with our larger lever being hit in an upwards motion after a new mag is inserted, driving the stock bolt release down as a gross motor skill to make reloads faster and easier. $49.95 includes Priority Mail shipping. Limited quantities!